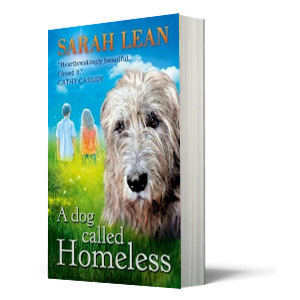 Check out Sarah Lean’s books – A Dog Called Homeless, Hero and Jack Pepper! World Book Day is on the way and Sarah Lean is one of the authors who’s teamed up with the day to get more people reading. We’ve been looking at her brand new book – Hero – loads on Fun Kids, so we thought we’d show you some of Sarah’s other books! This is going to be Sarah’s next book and will be a prequel to Hero! When Ruby and Sid see a poster about a missing dog, they can’t believe it. It reminds them of an adventure they had and a little dog they once met. Could it be the same Jack Pepper that’s now gone missing? Hannah loves her Grandad and his stories, but his memory’s getting worse and worse. He tries telling Hannah a story about a whale, but keeps forgetting what happens next and where he is in the story. So, Hannah sets of to make a video that will jog his memory and help him remember her. Sometimes when things are broken, no matter how hard you try, you can’t fix them on your own. When Nell is sent to stay with distant family, she packs a suitcase full of secrets. On her travels she comes across a wild horse that draws Nell a mysterious, troubled girl who is hiding secrets of her own. Both girls have to learn to trust each other, if they are to save a hundred horses. This book stars Cally Fisher who saw her mum bright, real and alive. But no one believes her, so Cally’s stopped talking. A mysterious wolfhound always seems to be there when her mum appears and now he’s started following her everywhere. But how can Cally convince anyone that Mum is still with them, or persuade Dad that the huge grey dog is their last link with her?